Tierney Harvey is a senior studying multimedia journalism. She grew up in Ohio and has made Jacksonville her home for nearly ten years. She has a strong passion for writing and has experience as a reporter and features editor for UNF’s Spinnaker. Joslyn is a journalism major and sport management minor at University of North Florida. She is passionate about sports and want to continue to cover the beat in the future. She has covered UNF athletics for over three years and is the sport editor for the UNFspinnaker. Josh Hodges is a senior majoring in communication at the University of North Florida with a strong focus in multimedia journalism. In his time at the University of North Florida, he has interned and wrote for Folio Weekly, Spoon University and was a reporter for The Florida Inmate Reform Project. After completing his studies at the University of North Florida, he plans to continue to his professional writing career in a number of possible fields. Whether it be writing about food or for the local paper, writing the truth and reporting it honestly will always be at the heart of his work. My name is Noura Zakaria and I am now a senior at the University of North Florida. I’m studying communication with a focus in multimedia journalism and production. My passion for speaking before a crowd and making people smile has led me to wanting to become a TV host on a morning show. Ever since I was a little girl, my father would always tell me that he cannot wait to see the big things I am going to do in the world. I’m now ready. I’m a well-rounded individual with the ability to write eye-catching pieces for the media. I’ve gained knowledge of editing software including Premiere and Final Cut Pro as well as WordPress, Pipe Drive and other software. My interest in photography and videography has led me to become talented in photo-editing as well. Julia Newton is an enthusiastic senior whose getting ready to graduate and take on the world. She will receive her degree from the University of North Florida in December of 2017. With a communication major focused in journalism and minor in political science, she aspires to work either within politics or reporting about it. In her free time, you can catch her at Jacksonville beach, in the library or watching the news on her recliner. My name is Katie Connors, and I am a communication student with a focus in multimedia journalism at the University of North Florida. After graduating in spring 2018, I hope to find a career that allows me to use my skills in speaking and entertainment. I have always had a passion for performance and writing. I have the ability to speak comfortably and often hear I have a way with words. I am detail oriented so I strive to make sure everything I do is done to its fullest potential. With much consideration, I believe a career in broadcasting would allow me to display these skills. My name is Morgan Younge and my goal is to bring positivity to television. After graduation, my career goal is to be a television host. My leadership abilities are impeccable and my motivational skills allow me to lead any team to success. My experience dancing for the Jacksonville Sharks Arena Football team has given me the ability to excel in front of large audiences. Being in a high-profile setting has given me the a level of professionalism needed to succeed anywhere in life. Kelton Givens is a senior at the University of North Florida, majoring in Communication with a concentration in Broadcast Journalism. Kelton has a passion for storytelling as well as community leadership. Kelton plans to have a career in reporting as well as being a public official. Kelton also serves as minister and musician in the Christian community. When not serving the community and reporting stories, Kelton enjoys spending time with his family and playing sports locally. Hannah is a senior at the University of North Florida, majoring in Multimedia Journalism. She is passionate about writing stories that draw people in and leave them wanting more. Hannah is particularly interested in Literary Journalism, making ordinary stories extraordinary. She also enjoys photography. In Spring 2018 Hannah will be interning at Jax Air News, and will graduate April 2018. Tiffany Salameh is a senior at the University of North Florida, pursuing a degree in multimedia journalism and political science. She works as the Editor-in-Chief of UNF’s student news site, Spinnaker. While hitting the books and producing news content is her full-time commitment, Tiffany always makes time for the beach, dining local and her pup. 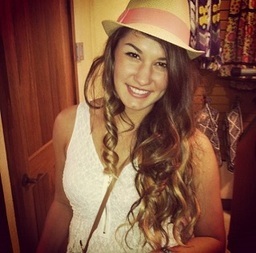 Jackie Hellett is a senior at UNF majoring in communication concentrating in multimedia journalism. She enjoys sports, travel, and music and would love a career that involves either of those passions. She hopes to take the skills she’s acquired during her time at UNF and apply them in the workplace. Marielisa Martinez is a bilingual journalist who loves telling stories. She comes from Caracas, Venezuela, and Spanish is her mother tongue. She will graduate as a bachelor in Communication, concentration multimedia Journalism & Production, from the University of North Florida. Corin Gainey is a senior at the University of North. She is pursuing a communication degree with a focus in multimedia journalism. She has worked for a blog for Reflex media for the past year. Nikeya Heath is a senior at the University of North Florida, pursuing a degree in communication with a concentration in multimedia journalism. She has a passion for people, traveling, social media and fashion. Following graduation, she plans to pursue a career as a broadcast journalist, where she will cover interesting stories in the Jacksonville community. Nikeya enjoys blogging, playing tennis and indulging in Japanese cuisine in her free time. Sarah Carter is a senior studying multimedia production and journalism. During her time at the University of North Florida she has interned for the Jacksonville Magazine and worked on a project for Florida inmate reform. She is currently working for the Jacksonville Jaguars on their marketing team. She hopes to have a career with the NFL in marketing or public relations. Arianna Rodriguez is a senior at the University of North Florida, majoring in Communication. She has a passion for producing and editing video. She gain experience in production by interning at U18, a local Spanish station, at WJCT, and as PA for Focal Point Productions. Arianna hopes to one day be producing documentary films and working on as many creative video projects as possible. My name is Madison Mikel Consuegra-Hunsucker. I’m currently studying communication, focusing in journalism and minoring in sports management at the University of North Florida. My dream career would be to work with ESPN or a major sports network being a sports anchor. Although sports are just one of my passions, ultimately, writing is my true passion and I am open to other career paths as well. Benjamin Naim is a Communication major at the University of North Florida. He plans on working for a local news outlet after graduation in either print or video journalism. Originally from Lebanon, Naim has lived in the Middle East for five years of his life. He moved to Florida in 2011 to pursue a psychology degree, but he later switched his major to Communication.